Isabella Alden was very close to her sister Marcia, who married the Reverend Charles Livingston. For many years Isabella’s and Marcia’s families lived together under the same roof. 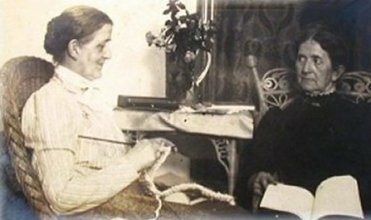 Isabella Alden (left) and her sister, Marcia Livingston in an undated photo. In the summer months the Aldens and the Livingstons traveled to Chautauqua, New York and shared a cottage on the grounds of the Chautauqua Institution. 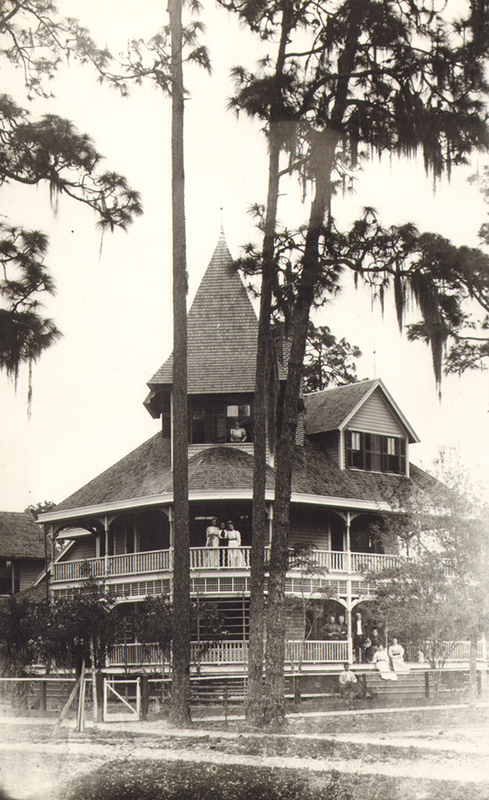 In the winter they made the pilgrimage to Florida, where the two families lived in a large house in Winter Park. Isabella’s son Raymond and Marcia’s daughter Grace attended Rollins College in Winter Park, and Grace went on to teach physical education classes there. Grace Livingston Hill in her early twenties. 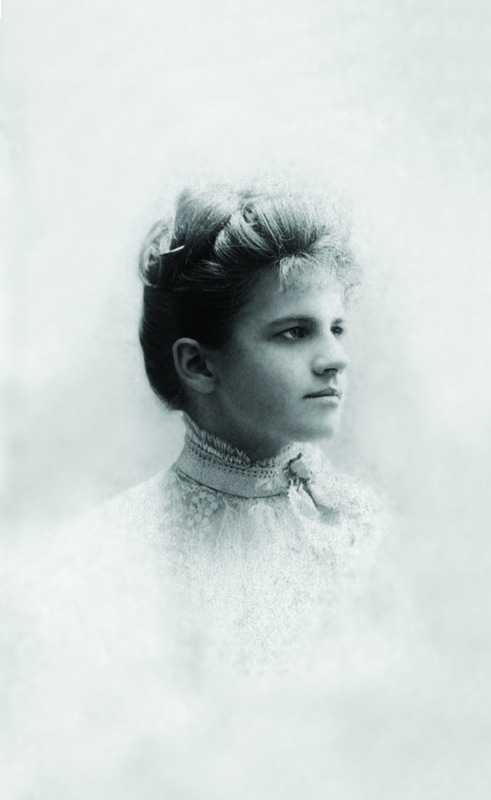 Before Grace took up her pen to write some of America’s most beloved novels under the name Grace Livingston Hill, she was one of the first teachers at Rollins College. She was also a true advocate for the “physical culture” movement that was sweeping the country at the time. She recognized the freedom it gave women to pursue physical health in a way they hadn’t been able to before. 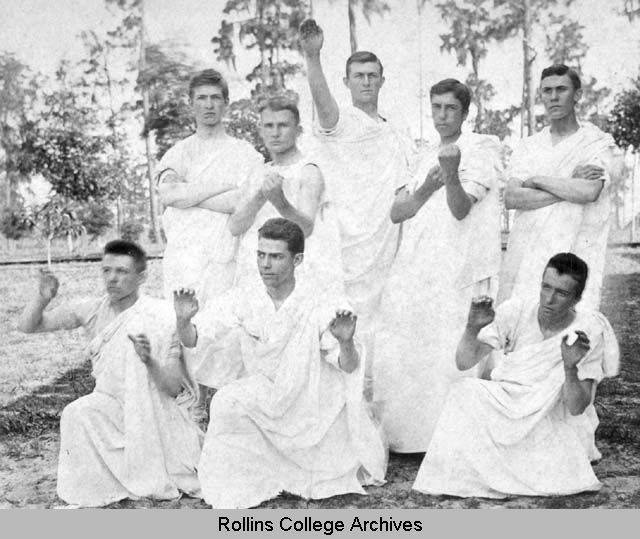 At Rollins she taught ladies’ classes in calisthenics, basketball, gymnastics, and fencing. And when she wasn’t teaching at the college, she taught physical culture classes at the Florida Chautauqua. An 1889 announcement from the Florida Chautauqua. And she wrote “Too Much of a Good Thing,” a story about how one young girl got so caught up in the physical culture craze, that she made life difficult for her entire family. You can read “Too Much of a Good Thing” for free below. Would you like to learn more about Grace Livingston’s teaching years at Rollins College? Click this link to read a fun story about one of her biggest challenges at the school, and how she convinced the faculty to see things her way. 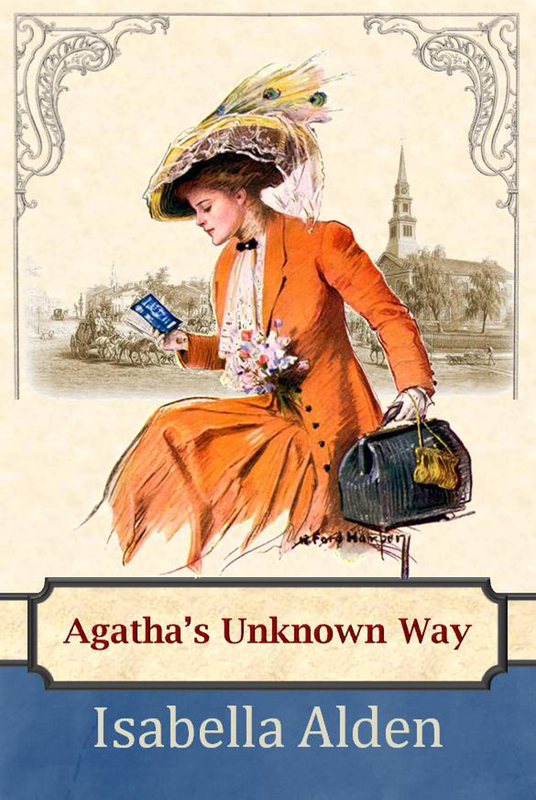 You can read Isabella’s short story, “Agatha’s Unknown Way” for free. Just click this link. You can also read a previous post about the birth of gymnastics at Chatuauqua Institution. Downstairs everyone was busy. Uncle Morris and his entire family, just from Europe, were coming by an earlier train than it had been expected they could take, and many last preparations for making them comfortable had still to be attended to. Mrs. Evans had been up since daylight, planning, directing, and helping to the utmost that her small strength would admit. No, Millie wasn’t nearly through. In fact, she could hardly have been said to have commenced. The truth is, she had been thrown off the track. It was an old print which fell out of an, unused portfolio that did it. The print showed the picture of a girl in fun Greek costume, and reminded Millie of what was not long out of her mind, that in the coming Physical Culture entertainment she was to chess in a costume which was supposed to be after the Greek order. Away dashed the Greek maiden to one of the guest chambers which Laura had left in perfect order, dragged from a seldom used drawer the elegant white mull dress with its lace belongings, all of which saw the light only on state occasions, and rushed back to the hall room again, where she had left the print she was trying to copy. In her haste, she dragged out with the dress various articles of the toilet. Laura’s white kid gloves which she wore when she graduated, a quantity of laces, and a handkerchief or two, to say nothing of sprays of dried flowers. These she trailed over the carpet, seeing nothing of them. The important thing in life just now was to get herself into that dress. It was accomplished at last, not without a tiny tear having been made in the delicate stuff, but which Millie’s fingers were too eager to notice. She tied the white sash high up about her waist, after the fashion of the picture, seized the dust brush in one hand as if it were a dumb bell, or an Indian club, and struck a graceful attitude with her arm on the corner of the mantel. The Greek maiden’s cheeks were in an unbecoming blaze. Laura was hurried and tired, and spoke with more severity than was her custom. It certainly was trying to find the room in disorder, and her best dress in danger. “What is all this?” Mr. Evans’ voice was sternness itself, and he looked at the girl with blazing cheeks, in a way that made her angry eyes droop. But Laura was already sorry that she had spoken so sharply, and tried to soften the story as much as truth would permit. Poor Millie! The hall bedroom floor might almost have been washed, if that were desirable, with the tears she shed. No hope had she of any change of mind on her father’s part. He rarely interfered with his children, but when he did, his word was law. And poor Laura! She went downstairs heavy-hearted and miserable. Why had Millie been so silly, and why had she allowed her vexation to make matters worse?